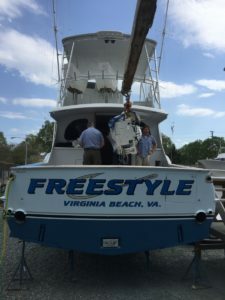 Freestyle, 61′ Blackwell, built in 2004 recently made a visit to the Hampton Yacht Yard for the installation of a Seakeeper 9 Gyro. This installation required relocating the oil change pump manifold, generator fuel filter, water heater, accumulation and water filter, along with the fabrication and installation of generator shelving, aluminum angles, and stringers for shelving support. 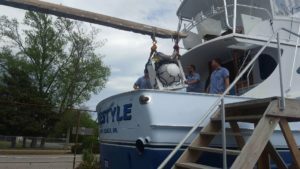 Bluewater Yacht Yards was proud to partner with the Goin’ Deep Charter for this project! 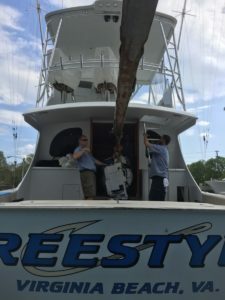 We live aboard a 46’ stabilized trawler with a 15 beam, weighing 25 tons. It has 2 1 3/4 shafts. I am requesting a quote to have Nova Jornada lifted and both external thrust bearings replaced then have the shafts realigned. Because we live on her with 2 cats extended out of water time would create great difficulties. 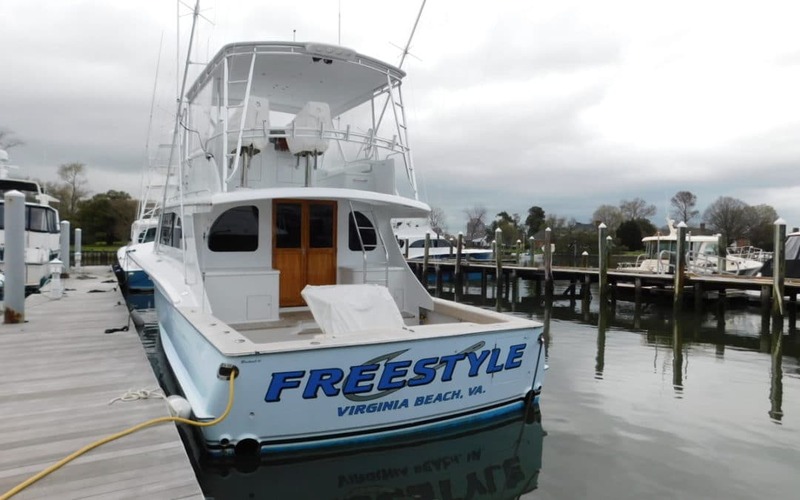 We will be in the Hampton Roads area with in a week attending a rally from 4/29 to 5/4.